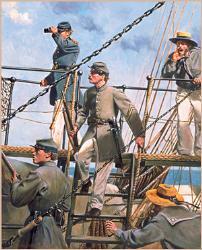 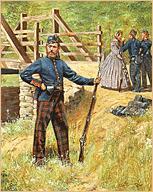 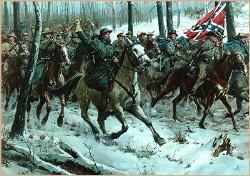 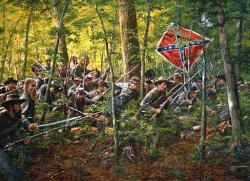 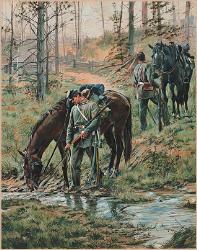 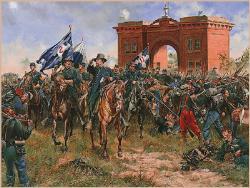 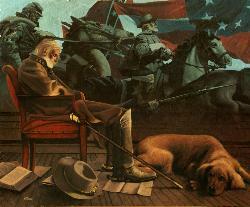 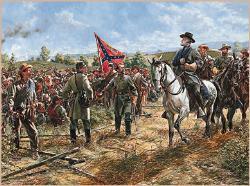 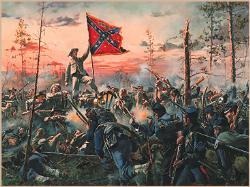 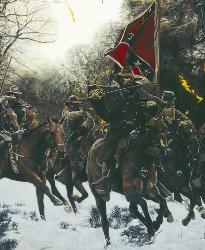 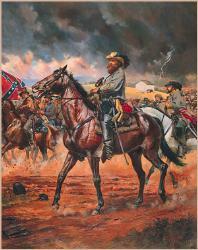 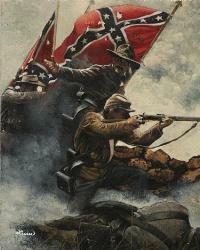 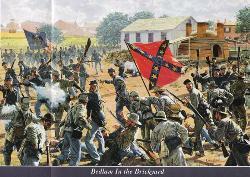 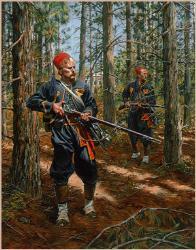 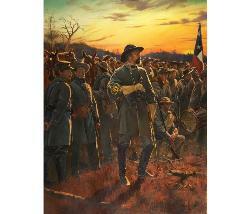 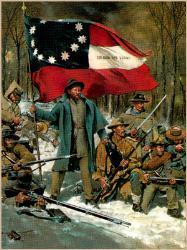 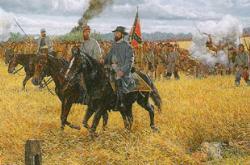 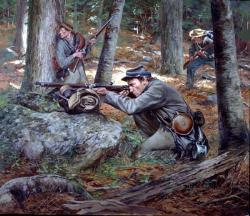 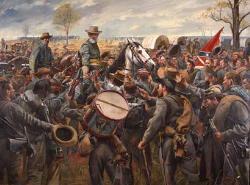 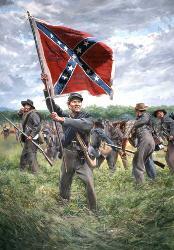 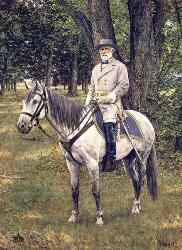 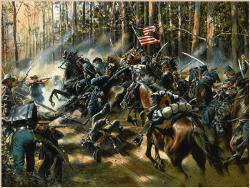 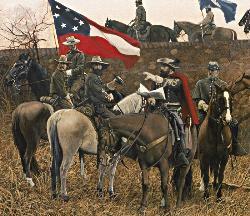 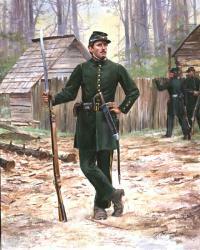 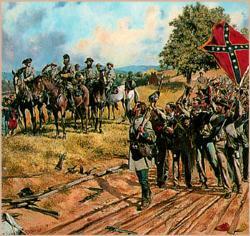 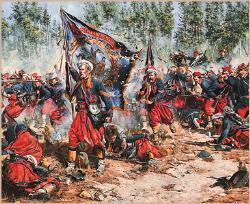 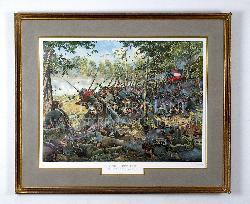 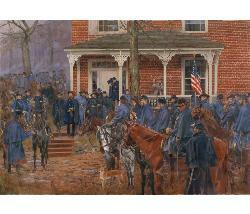 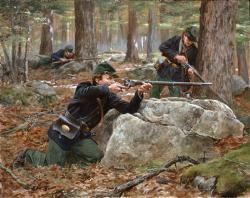 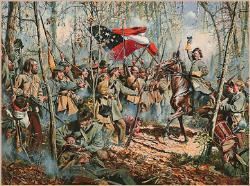 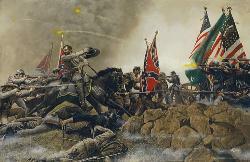 On the fifth of October, 1864, Confederate forces under General S.G. French assaulted the fortified Union garrison at the strategic post of Allatoona Pass, Georgia. 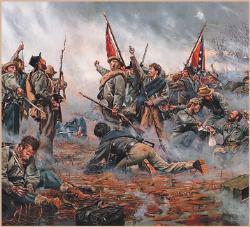 With courage equaled only by the Northern defenders, Cockrell's Missourians poured over the earthworks of Rowett's Redoubt in one of the most ferocious hand-to-hand struggles of the war. 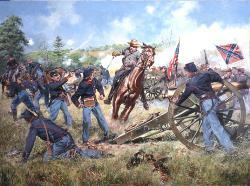 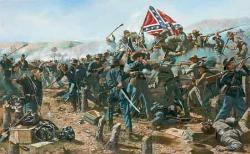 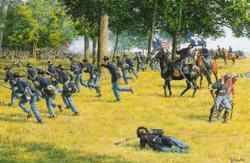 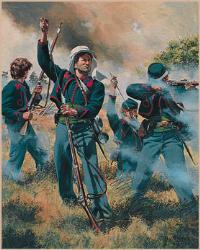 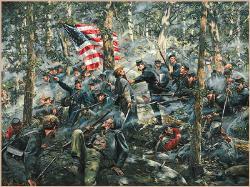 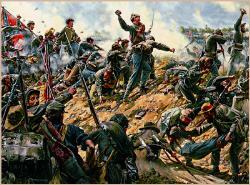 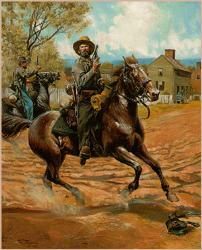 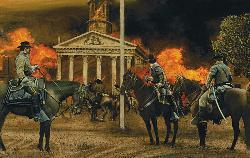 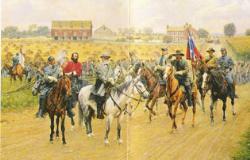 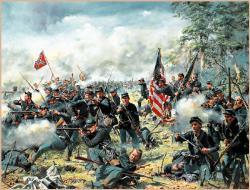 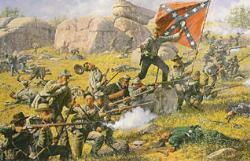 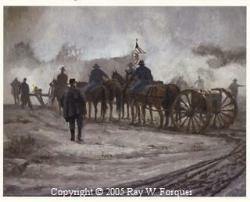 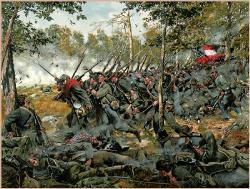 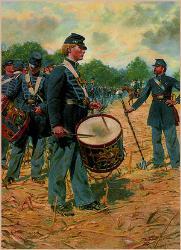 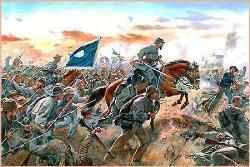 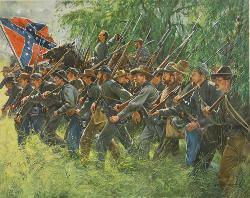 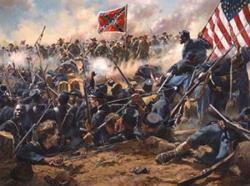 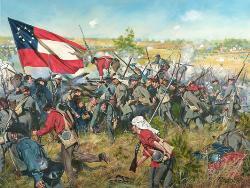 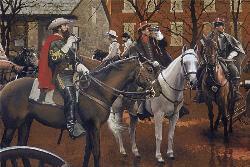 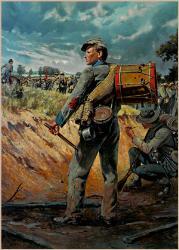 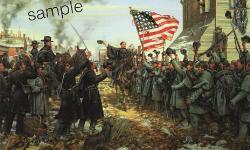 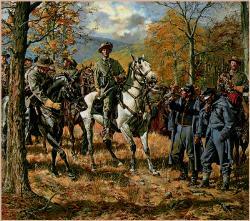 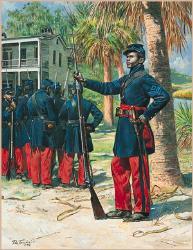 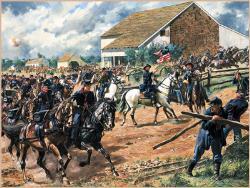 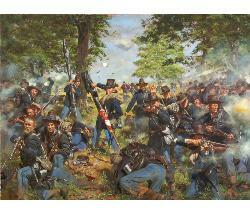 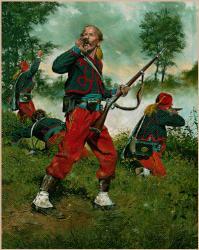 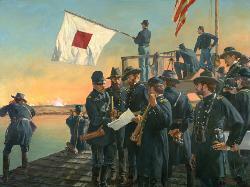 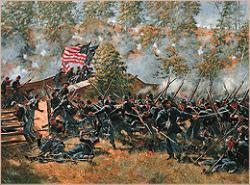 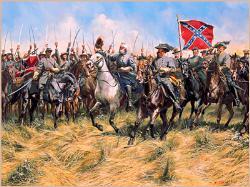 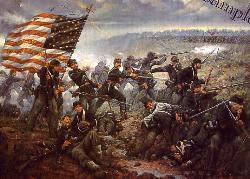 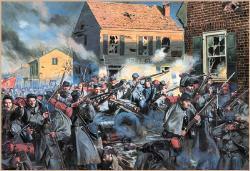 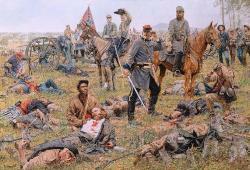 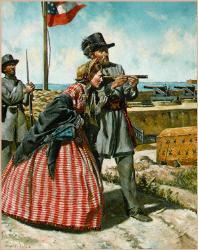 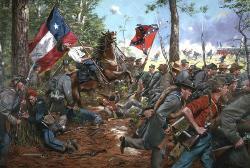 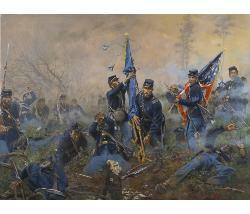 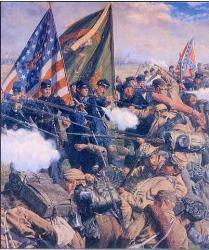 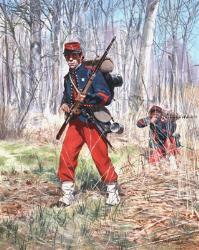 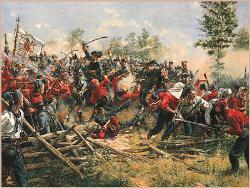 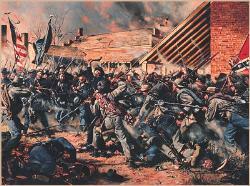 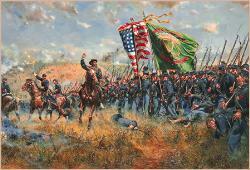 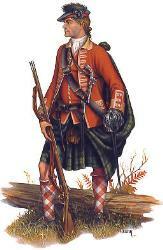 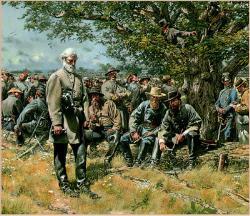 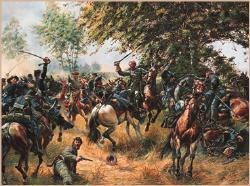 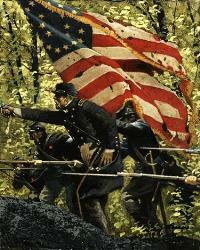 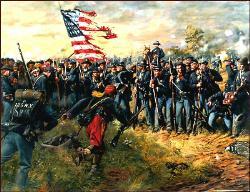 The defenders including the 39th Iowa and 7th Illinois regiments, fought practically to the last. 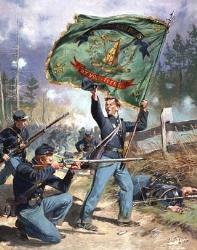 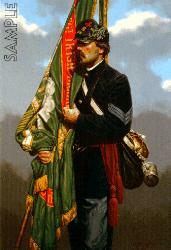 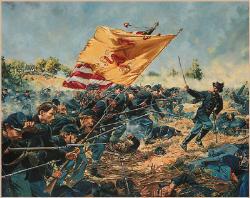 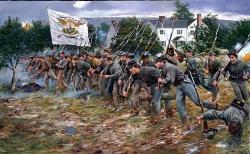 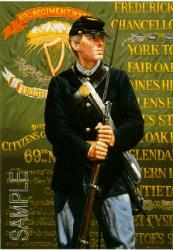 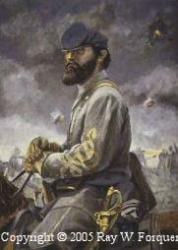 At the climax of the fighting, as Sergeant John M. Ragland of the 1st-4th Missouri seized the 39th's flag, his Captain, Joseph Boyce hurled a dirt clod into the Federal color bearer's face. 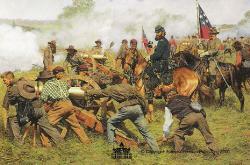 Although initially successful, the Confederates were ultimately unable to take the main Union fort and withdrew after successive attempts with heavy loss. 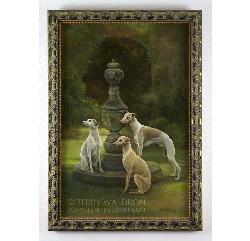 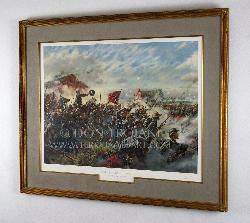 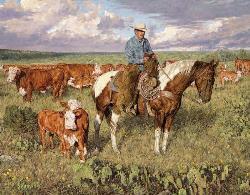 Image Size: 18" x 29"
Overall Size: 22" x 33"